Burg Wachter Karat safes are made in Germany and incorporate a modern lightweight design with fire protective insulation in both safe body and door including triple-walled steel body construction. 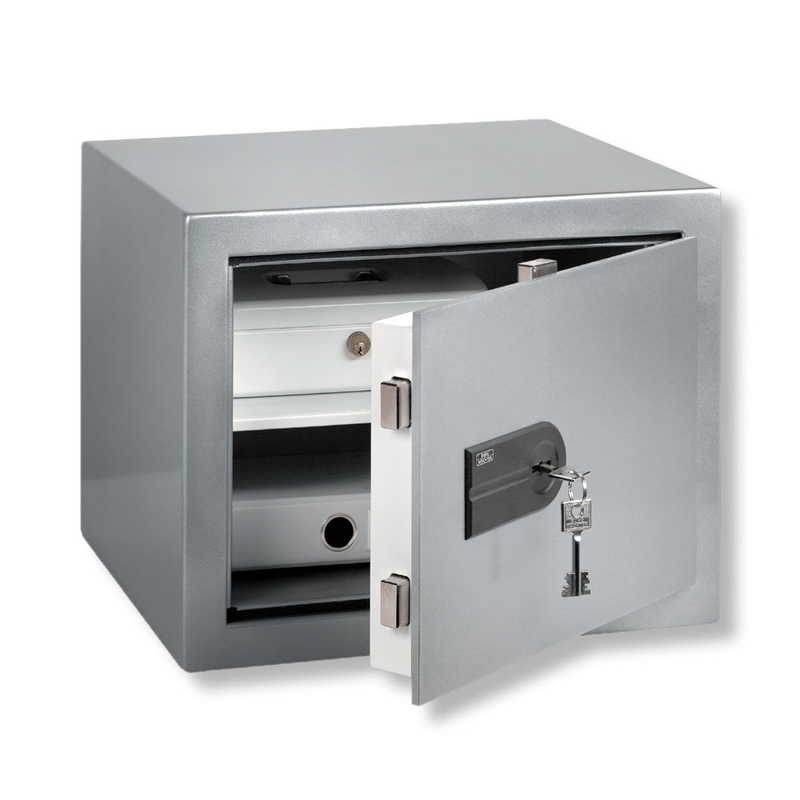 The safes are recommended for business or domestic cash risks and have low grade fire protection. The double-walled door features a 3-sided locking system and protection against flame-cutting. NS models feature secure key locking with drill protection, while the NE models are fitted with an electronic lock certified to EN 1300 B and featuring an intelligent menu system with support for up to 10 users and 1 million code combinations. Time locking can be programmed on NE locks using optional TSE software. NEFS models feature an integrated fingerscan module. This electronic/biometric lock has been tested by renowned experts at the ECB-S and also meets the EN 1300 B standard. Please note that time locking features are not available with the NEFS lock.